The Door Industry Journal: Shut that Gate using Gas Power instead of Electricity! Shut that Gate using Gas Power instead of Electricity! Slam Proof Gate Closers provide a safe closing solution for entrance gates to residential properties, schools, sports Centre’s and industrial plants. 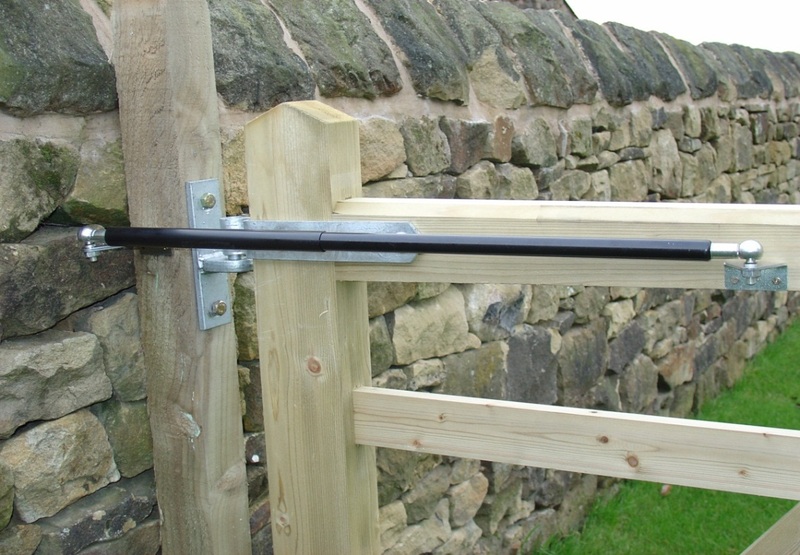 The specially designed gate closers combine the control of a hydraulic damper with the extension force of a gas spring. They were developed to give a slow and controlled closing action once a gate has been opened and released. The gate closers have become popular products due to their function, robust design and ease to mount. Slam Proof supply an extensive range of motion control products, primarily used to assist movement and control velocity. Technical help is readily provided by our sales team to find an appropriate solution for your application. The continuous production of special sizes allows us to meet nearly all requirements in a variety of industries. Slam Proof gas springs and hydraulic dampers (HB damper) are manufactured to a high quality. Using design software the performance of these products can be maximised, giving the best results for each application. Gas Springs and hydraulic dampers with body diameters from 15mm up to 40mm and with stroke lengths of up to 1000mm are readily available. Bespoke products can be supplied to meet customer’s special requirements. For more details and pricing call 01772 759126, email info@slam-proof.co.uk or visit their website.